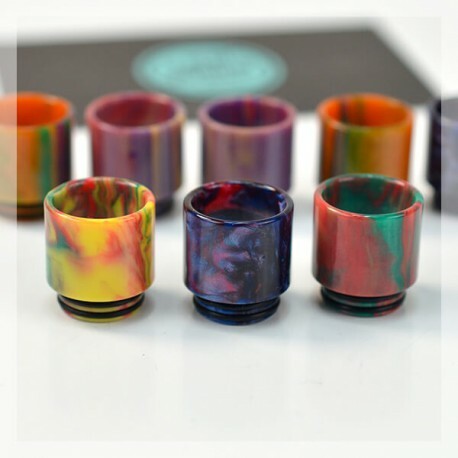 With the particluar fabrication process, the colours of the Cigpet Resin Drip Tips are random and surprising. The Cigpet Resin Drip Tips are unique in their own kind. Made in Resin, they have an excellent resistant to heat and contact with the mouth is agreeable. The fabrication process is very particularwith the random colourings of the drip tip. 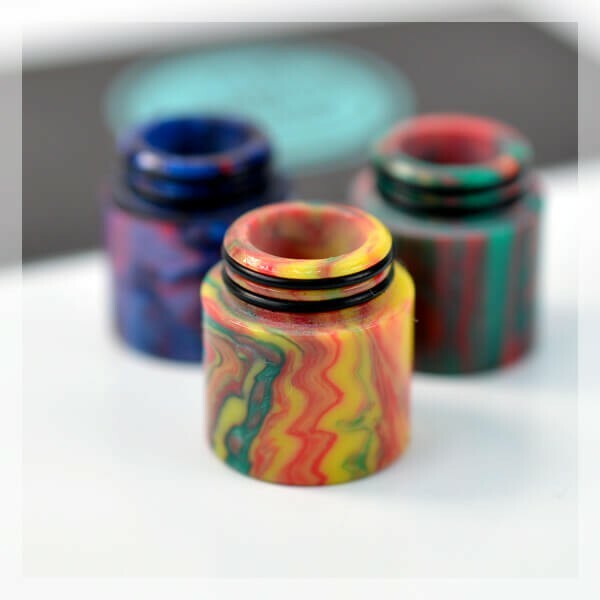 The infinite colour options make each drip tip unique. For other models, refer to the characteristics table. The choice of Drip Tip is far from a question of Esthetics. The drip tip can effectively have an incident on your manner of vaping and transform your experience of vape.